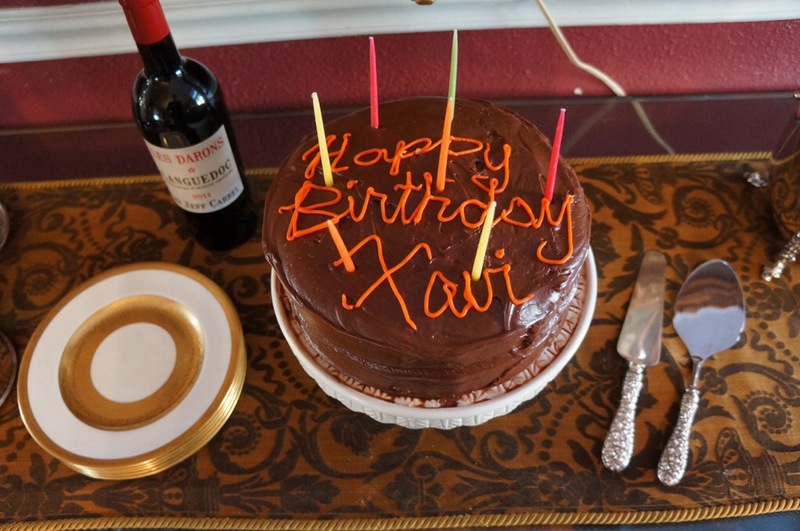 Since we just threw our friend a birthday dinner at our home, we wanted to share with you the recipe for Harris’ Yellow Layer Cake! Grease two 9-inch round cake pans and line the bottom with wax paper. Preheat oven to 350 degrees. In a bowl whisk together and set aside, flour, baking powder, baking soda, and salt. In a medium size bowl whisk egg whites until soft peaks form, gradually add ¼ cup of sugar and whisk until moderate peaks form and set aside. Beat in large bowl, using whisk attachment if possible, beat together, 1 ½ cups sugar, butter and oil until lite and fluffy, which usually take 4 minutes. Beat in egg yolks and vanilla. 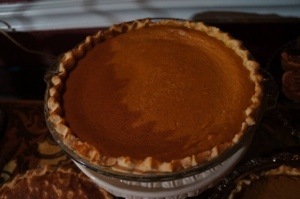 With mixer set to slow speed add flour mixture alternating with buttermilk and beat until smooth. Fold in egg whites. Pour into cake pans and bake for 25 minutes or until a toothpick inserted in the center of the cake comes out clean. 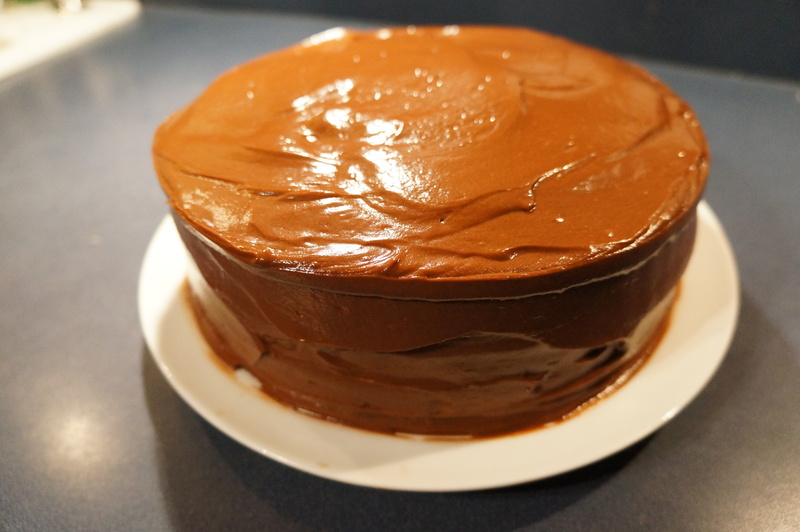 Recipe: The Dads’ Perfect Chocolate Cake! Who can resist a bite of this delicious, decadent Chocolate Cake? !